Step into the Spectacular Underwater World! 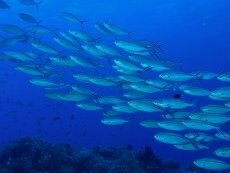 In this first stage of the program, you will learn recreational diving theory through classroom & pool instruction on campus, and then apply this knowledge in 6 open water dives conducted in the company of Julian Rocks' vast array of marine life! In just five days you will be fully certified to explore the awesome underwater world of fish, coral reefs, shipwrecks, caves, and more. You will also learn essential procedures for diving safely and responsibly while experiencing this totally new and exciting world! Become certified in just 5 days! 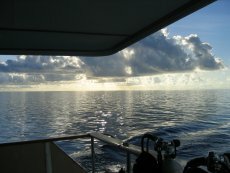 Duration: 5 Days, 6 Dives YOU CAN: Dive up to 18m. 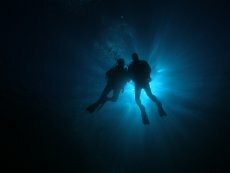 In the second stage of the program, you will learn the skills you need to take on more challenging diving situations, including deep dives, night dives, underwater navigation, search and recovery, and more! No worries, join the program at the stage that best meets your experience! In this stage of the program you will learn the skills to effectively manage many dive emergencies, a benefit to you and to everyone you will dive with throughout the rest of your life! 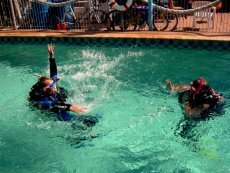 Diver stress and the resulting panic are the leading causes of diving accidents and emergencies; through this course you will be equipped to prevent such emergencies when possible and handle any emergencies that may occur. You will learn the theory behind recognizing stress and effectively dealing with it and then put that theory to practice in real-life scenarios. 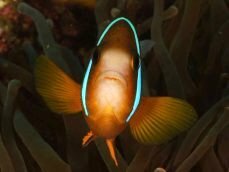 Interested in underwater Photography & Videography? We offer an optional visual art component as an add-on to the program. Ask us! This is a highly interactive course emphasizing teamwork. 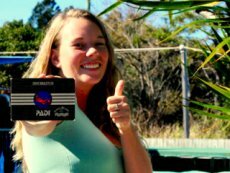 You will benefit first hand from the 20+ years of experience that Byron Bay Dive Centre and its instructors have in recognizing and handling diving emergencies - this is one area where the skills that you learn must be second-to-none! 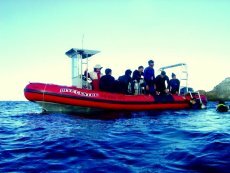 Duration: 5 Days, 6 Dives YOU CAN: Effectively manage potentially life-threatening dive emergencies. A prerequisite for the completion of Rescue Diver certification, this internationally recognised and Australian Workcover approved First Aid course will provide you with invaluable emergency response knowledge. 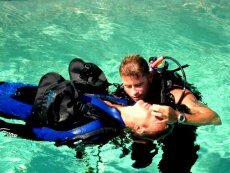 You will learn skills to approach, assess, treat conditions, and administer O2 when necessary - essential skills for diving rescue as well as other first aid situations you may encounter in any walk of life! Duration: 5 Days, 6 Dives YOU CAN: Perform basic life support and first aid response procedures at home and the workplace (necessary for Rescue Diver Certification). In the final stage of the program, you will receive a wealth of practical experience and knowledge in the dive industry. Through a finely tuned blend of academic sessions mixed with practical application you will achieve the status of Divemaster, the first step in turning your diving interest into a rewarding career! 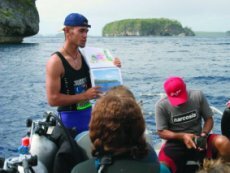 At this point your presentation and instruction skills will be honed, you will have individual and group assignments, and you will take the Divemaster examination at the end of the course. You're ready to start your New Diving Career! The program emphasizes flexibility in its teachings, so that you will be able to easily adapt your theoretical and practical knowledge to any dive operation anywhere in the world. 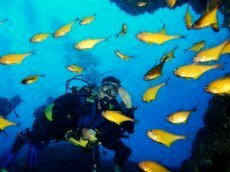 You will have the required experience to confidently enter the diving industry and to lead dives, work on dive boats, and teach qualified courses. Duration: 10 days + 2 weeks practical and the required amount of dives for DM certification YOU CAN: Start your NEW DIVING CAREER! CONGRATULATIONS!